It's a lilacs and daffodils kind of MFT Color Challenge to inspire you! Can you smell the flowers? 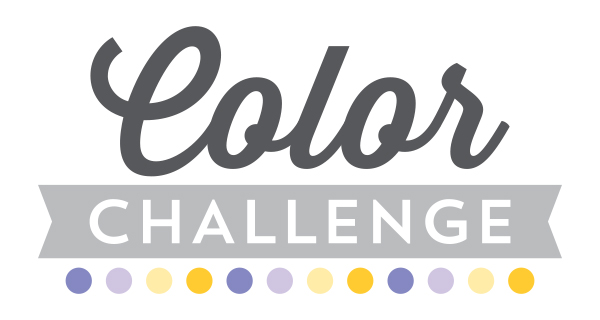 This challenge features colors fit for a spring bouquet — Lavender Fields, Wild Wisteria, Lemon Chiffon, and Daffodil. This color combination might seem like a challenge, but your MFT Challenge & Inspiration Team knows how to make magic! Go bold like Erin Lee did with a heavy dose of Daffodil. I love how you can see Wild Wisteria on the inside and at the bottom of the card. And of course, Modern Blooms is a perfect fit for these colors. Jill chose to keep the four colors tamed in a jaunty circle. 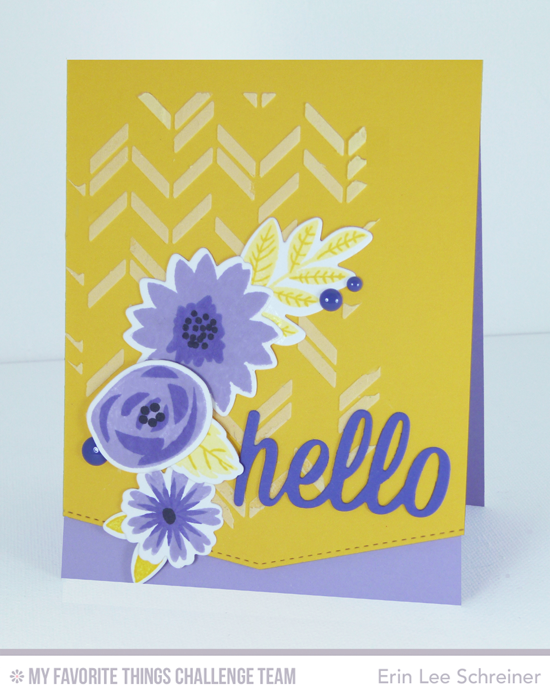 The Lemon Chiffon card base gives this design a light and airy feeling. And those two hearts? Perfection. Miriam embraced all of the colors in this daring design. 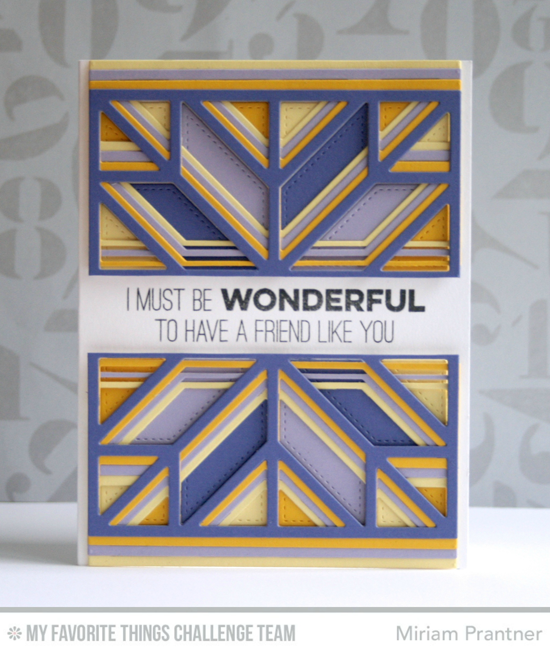 How COOL does the Quilt Square Cover-up Die-namics look when layered like this? 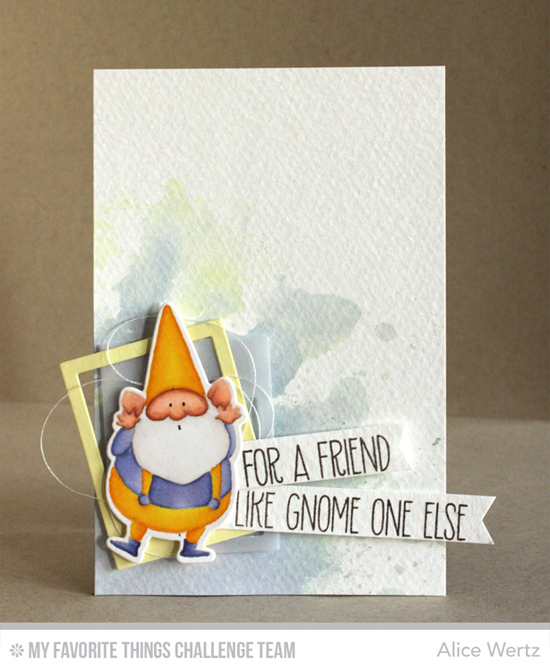 Another sweet and playful gnome is dressed up in our lavanders and yellow in Vera's design. 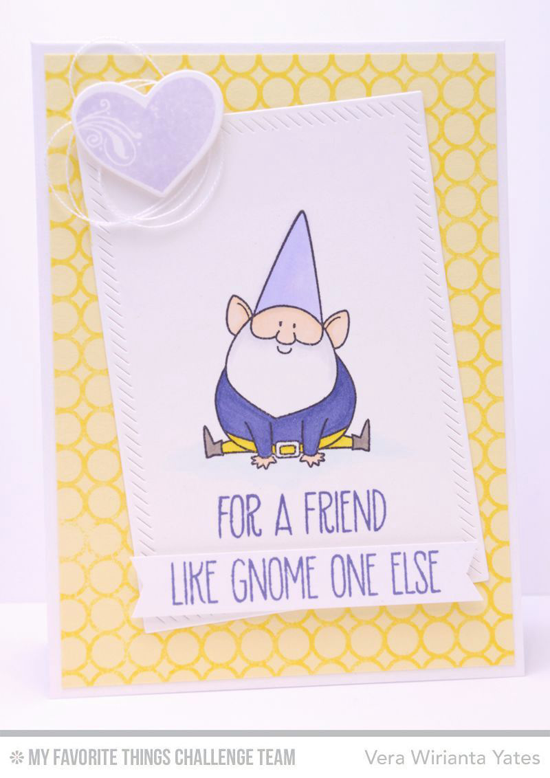 This card is sure to bring a smile to the recipient's face! Veronica's card is testament to the fact that adding metallic gold is NEVER a bad thing. Her vintage take on the color combination evokes memories of grandma's house and simpler times – a true breath of fresh spring air. Congratulations, Nikki Foraker! 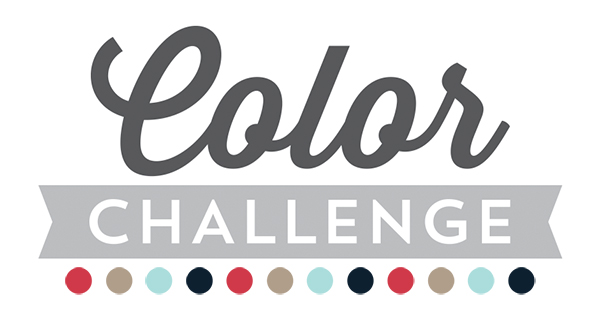 You are the randomly selected winner of the MFT Color Challenge. You can view all the entries from the last challenge HERE. You have until Wednesday, May 13, at noon EDT to add your link and be eligible for the prize of up to $20 in MFT Cash. Winners are chosen at random, so everyone has a chance! The prize is a $15 Gift Voucher to My Favorite Things, but if you use MFT stamps and/or dies in your project, you’ll receive an extra $5. The quilt square is now going onto my wishlist! All these cards are so inspiring--thank you! How did you know??!! These are my All Time Favorite Colors! These cards are Fan-Tab-U-Lous! I've got to get in on this one...Yeeeess! oh my gosh, these colors are gorgeous and the DT did such beautiful cards!! Each one wow'd me in their own unique style - can't wait to pull some colors out and play along! Thanks for the fabulous color challenge and lovely DT inspiration!